I recently started seeing a naturopath for my eczema. I had an IgG test to see what my foods sensitivities. Most of them were the typical ones; nuts, egg, most grains including rice, dairy and citrus fruit but I had weird results like yeast, and green beans. I wasn’t allergic to gluten! woohoo! I had to change my diet once again to see how my skin would improve. I have seen great results in a month of changing my diet. 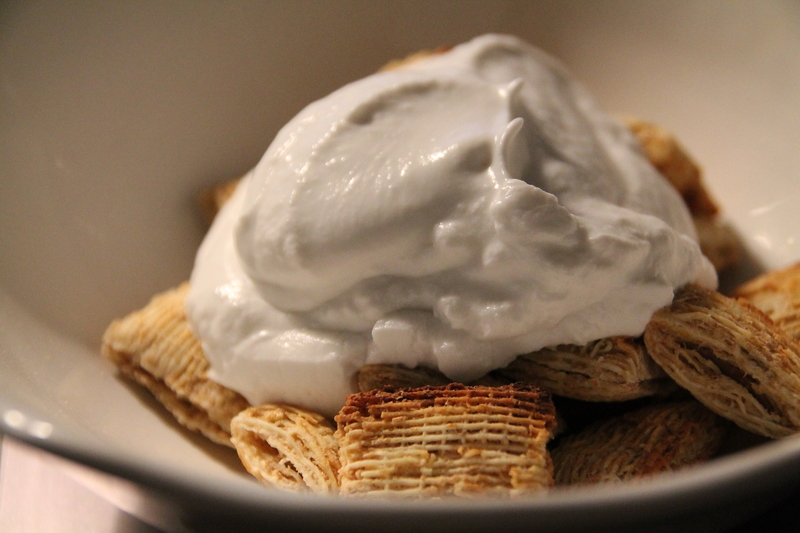 The hardest part of this new diet was breakfast. I could no longer have my cheese and toast. I can’t have bread because of the yeast. 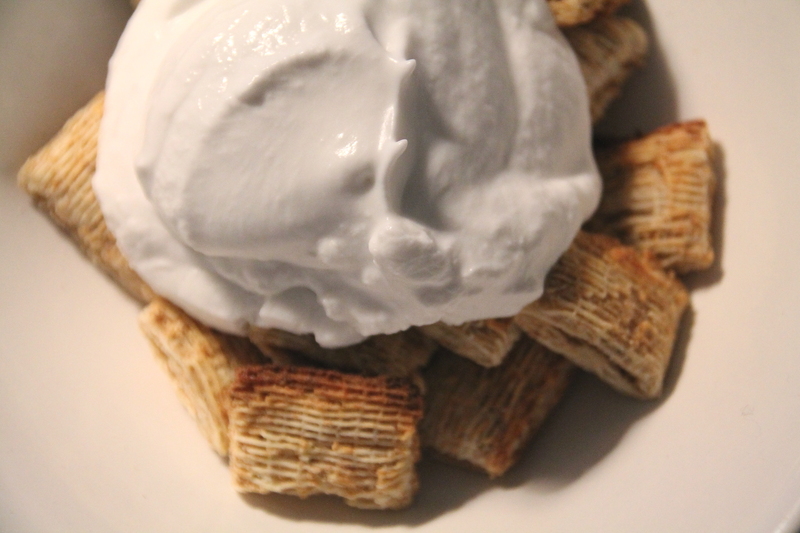 I have resorted to cream of wheat and shreddies. As milk alternative I have been using soya milk or coconut milk. I added dried fruit for sugar and flavor. Eating the same breakfast each day gets boring. I decided to look for a yogurt alternative. I searched grocery stores for coconut yogurt or soy yogurt but found most of them contained a thickener such as rice flour. I can’t have rice. Then I decided to try to make my own. I found a super easy recipe that gave amazing results. Sooo yummy! 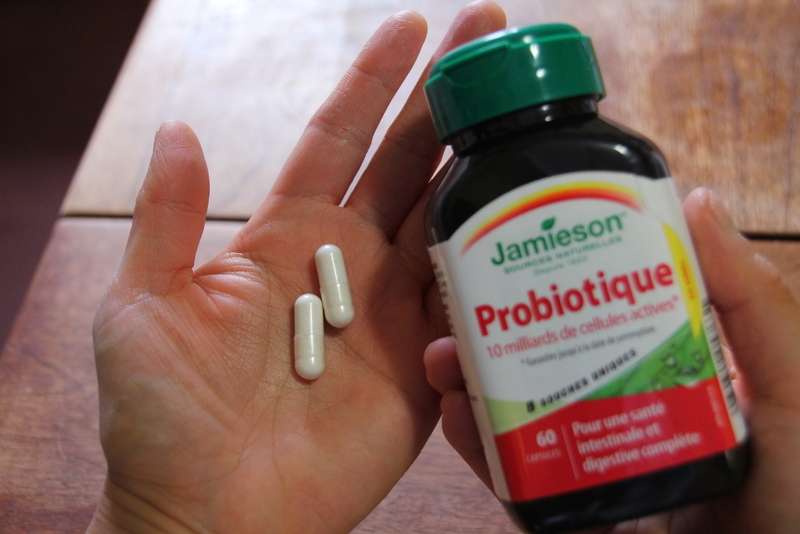 All you need are coconut milk and probiotic pills. 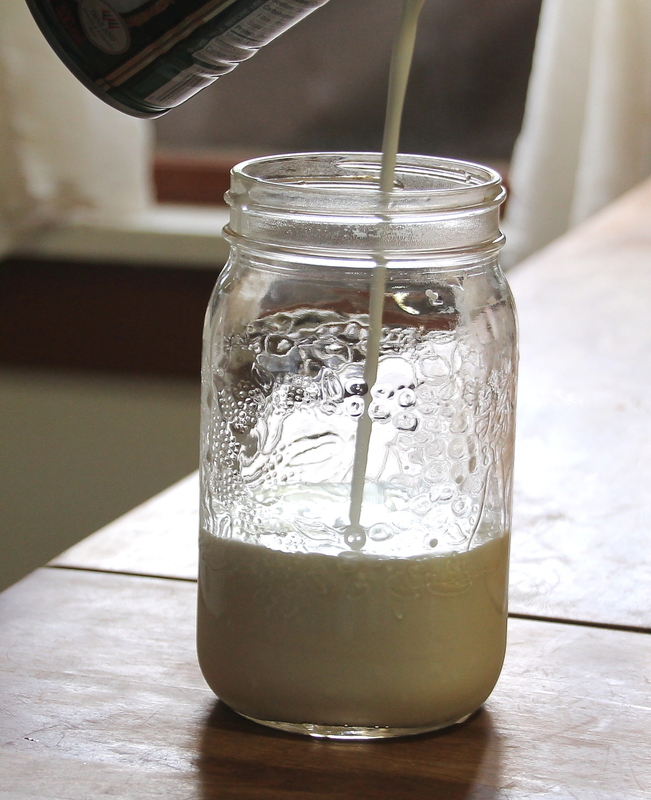 Pour 1 can of coconut milk into a sterile jar. 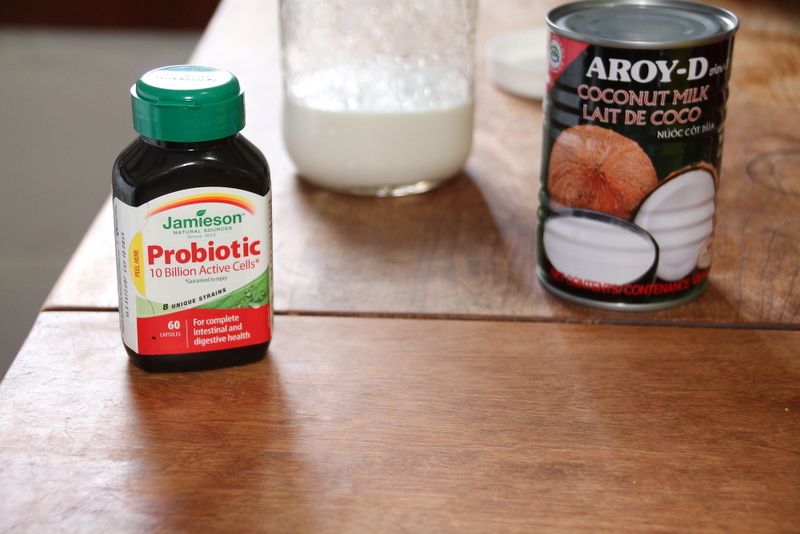 Empty out 2-3 pills into the coconut milk and stir well. Let the mixture sit at room temp for about 1 day. Then place the jar into the fridge. 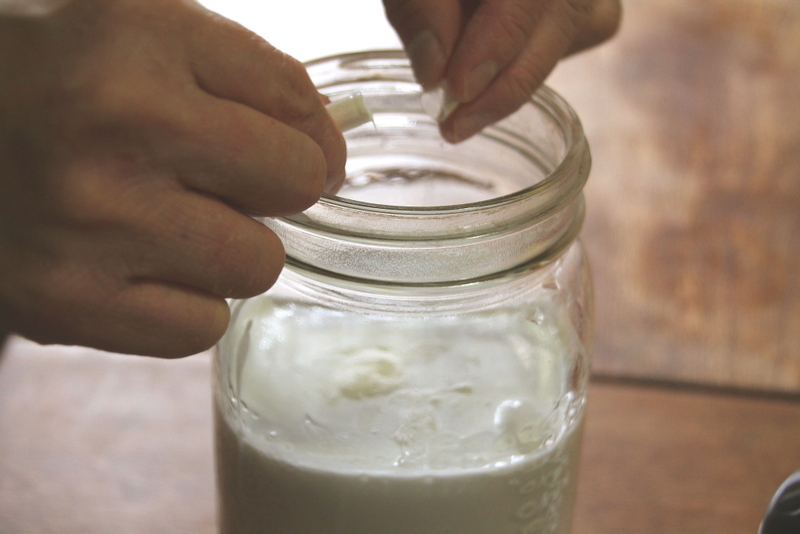 Allow the yogurt to sit in the fridge for a couple of days. The longer you wait the more tangy the taste and the thicker the results. It tastes great with fruit or cereal. Add some maple syrup to sweeten it up. *Actually my second batch wasn’t as thick as the first one. I am not sure why. I think it might be the brand. Try to choose a full fat version. Next Post Smiley Face Pancakes with Cranberry Sauce! I have had problems with runny coconut yogurt as well. I think it really depends on the brand you buy and how warm the weather is. Try a couple different brands. Good luck and hope you get good results.